UNIFLOOR Standard is an elegant, curved transition profile for the bridging of joints for FLOORing surfaces of similar height. Depending on the version, the profile is secured to the subsurface using screws or is self-adhesive. The profile is available in aluminium, high-gloss brass, ferrous brass and V2A stainless steel.UNIFLOOR Traffic is an elegant, curved transition profile in reinforced aluminium for the bridging of joints for FLOORing surfaces of similar height. Depending on the version, the profile is secured to the subsurface using screws or is self-adhesive. Metal transition profile for height differences or to finish tiled flooring surfaces DURATRANS profiles in aluminium or brass are used for height differences of up to 20mm in the transitional areas of ceramic flooring including adhesive.Â The design and material have been selected to ensure that the profiles are able to resist large loads, point loads are evenly distributed in the flooring surface and the adhesive. 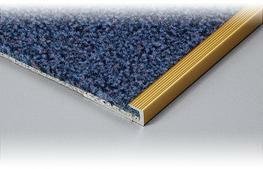 Two versions are available: the classic ramp profile with an anti-slip surface for height differences of up to 20 mm in commercial areas, or gently curve for use in living areas for height difference of up to 12.5 mm. SOFT profiles in soft PVC are ideal for the most varied applications, to create perfect flush finishes in combination with thin-layered flooring surfaces. 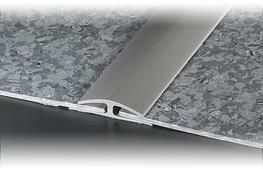 The elastic plastic angles fit perfectly with the respective underlays or subsurfaces. 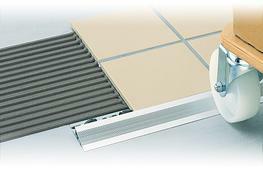 Available as step nosing, transition, cover and floor/wall connection profiles in black, brown and grey. 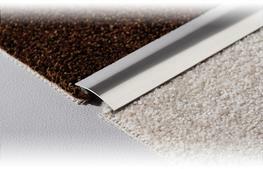 Aluminium edge finishing profile for the insertion and securing of fitted carpet edges to produce clean and safe finishes for flooring or stair nosing. EXAKT is a highly variable double surround profile which can be used as a transition profile, as a finishing profile, or even as a height compensation profile. EXAKT gets its flexibility from its "frog's leg mechanism". 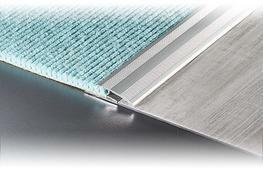 Depending on the installation angle and buckling, precise transitions from 0-12 mm are possible. 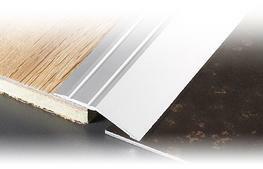 LP-TRANS profiles produce a sloping edge finish with laminate and parquet flooring. Available in aluminium, brass or V2A stainless steel, LP-TRANS profiles offer appealing elegance and easy adhesive fixing. Cover scuffs, chips, scratches and other minor marks on the surface of your wood flooring to restore its beautiful appearance. With this easy-to-use liquid, you can build up the colour to achieve the right shade and freshen up your floor in an instant. Manufactured using moisture resistant (P5) particleboard with an interlocking tongue and groove profile - Caberfloor, Caberdek and Cabershield provide a wide range of flooring solutions offering durability, on-site safety and weather protection. 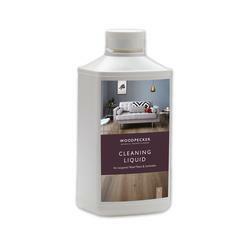 Our Cleaning Liquid is especially designed for Woodpecker lacquered or laminate wood floors. When mixed with water, the solution will clean and bring out shine without the need to rinse. Use with the Woodpecker spray mop for a safe routine clean. 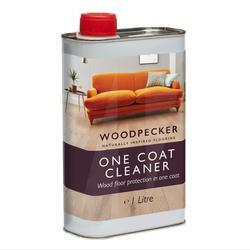 Our Cleaning Liquid is especially designed for Woodpecker oiled wood floors. When mixed with water, the solution will clean and bring out shine without the need to rinse. 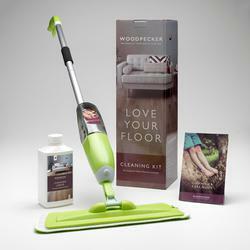 Use with the Woodpecker spray mop for a safe routine clean. 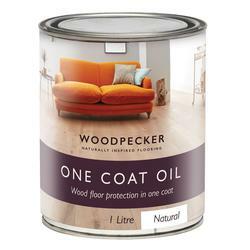 The rich natural colours and textures of a Woodpecker wood floor will be restored to their original lustre with our One Coat Oil. It'll enliven the grain, and protect the floor with just one coat. Dents and scratches on an oiled floor can be concealed quickly and easily with Touch Up Oil. Use a lint-free cloth to wipe onto the affected area then leave to dry. 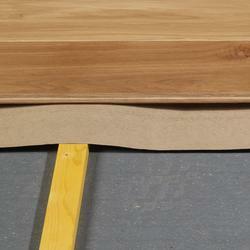 This moisture resistant barrier paper is perfect when secret-nailing a wood floor over a timber-based subfloor. Its bitumen backing self-seals around the nail holes to maintain a watertight barrier and prevent the flooring from absorbing moisture from below. 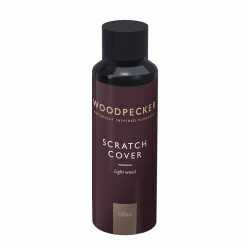 Woodpecker floors with an oiled finish can be thoroughly cleaned with One Coat Soap. Mix with 150ml of water for everyday use. 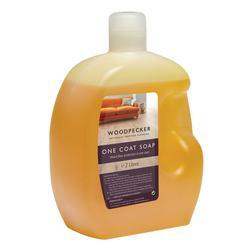 Do not use for three weeks after using One Coat Oil. 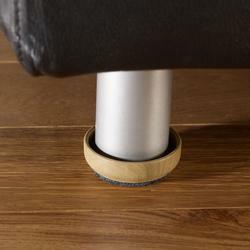 Castor Cups to protect wood flooring from the dents, pressure marks and scratches that can be caused by heavy furniture. 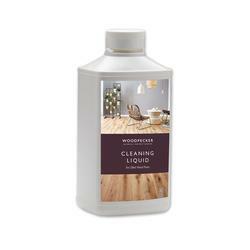 Clean and strip the surface of an oiled floor with One Coat Cleaner. 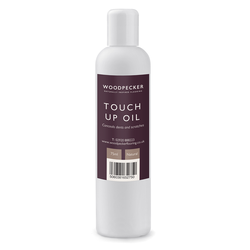 After 15 minutes to one hour of drying time, you can then apply Woodpecker One Coat Oil. 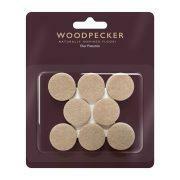 Felt pads to protect wood flooring from the dents, pressure marks and scratches that can be caused by heavy furniture. 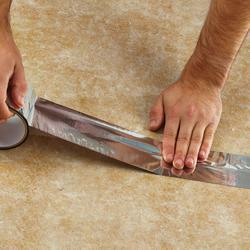 Use this self-adhesive foil tape when laying a Woodpecker moisture barrier, or products like XL Underlay tiles. It not only blocks out moisture but is an easy way to strengthen joins. 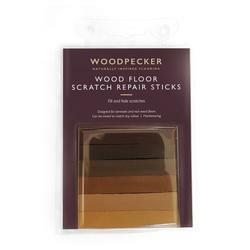 Woodpecker Cleaning Kits are designed to keep natural flooring in tip top condition. The box includes our specially formulated Cleaning Liquid and a gentle spray mop with a refillable cartridge and washable cover. We've also popped in our floor Cleaning & Care Guide.